These dogs are in Foster-to-Adopt homes. This gives pros	pective adopters 30 days to foster the dog in their own home before finalizing the adoption. We feel that a 30 day trial period is a good start to know whether the dog will be happy in that household and whether the household will be happy with the dog! Dogs will often act more cautiously for the first 2 weeks, so a full month of dealing with the dog during your regular routine is very important. If you are interested in becoming a regular foster home or in our Foster-to-Adopt program, please read our Fostering Agreement. 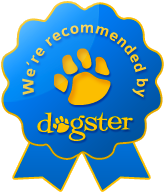 We actively encourage Foster-To-Adopt! Alyssum is an 8 week old female. She was a stray in Merced with her mother, Chrysanthemum, and sister, Aster, so nothing is known of her background. 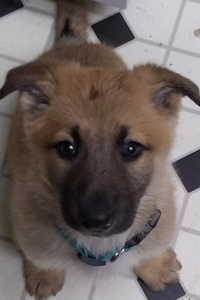 Her mother is a Malinois/Shepherd mix. She appears to be the same, but it's hard to tell at this age. She loves people and other dogs. She is currently learning all about respecting cats, sleeping in crates, and house manners. This is a Level 2 Dog. 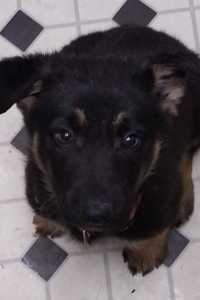 Aster is an 8-week-old black & tan female. She was a stray in Merced with her mother, Chrysanthemum, and sister, Alyssum, so nothing is known of her background. Collette is a petite, 7-8 month old female weighing about 45 lbs. She's almost all black but has a few strands of white on her chest. This girl was from a local shelter so nothing is known about her start in life. She is currently living with three German Shepherds and met several other dogs of all sizes recently. She is great meeting new dogs and will back away if any of them signal her to get away. If she has an opportunity to be with a dog her size that's playful, she'll play for hours. She also likes to chase tennis balls and carry them back, but doesn't quite understand the bringing it back part. If no human stays outside with her, Collette will go to a window and wait and watch the people inside, even if her play buddy is left out with her. This is a Level 3 Dog. Please be sure you understand what this level of dog requires. 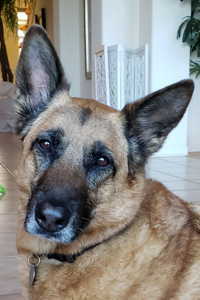 Chrysanthemum is a sweet 4-year-old Malinois/German Shepherd mix. She was a stray in Merced, so nothing is known of her background. Chrysanthemum (Mum) came to us with two puppies, Aster & Alyssum. They are now weaned and she is ready for a home. She looks more Malinois, but has a German Shepherd personality. She is mellow and easy-going, with a moderate energy level. She is always smiling and happy and loves to be a lap dog. 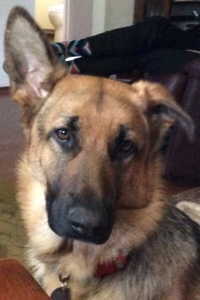 Cruz is a one year old black and tan boy weighing approximately 75 lbs. He is a little on the skinny side, and could use another 5 - 10 lbs on his large frame. He came to us as a stray from a local shelter, so nothing is known about his background. Cruz is a little on the shy side when he first meets someone new. He is learning very quickly that humans are a good thing especially if they offer him treats. He is learning not to jump when excited. He is treat and praised motivated, so training has been relatively easy. 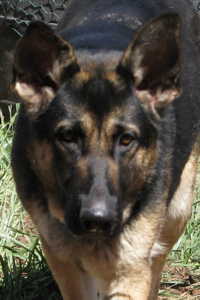 Deya is an approximately 2-year-old black and tan Female GSD. She is on the petite side weighing in at 55 lbs. She came from a local shelter, so nothing is known of her background. 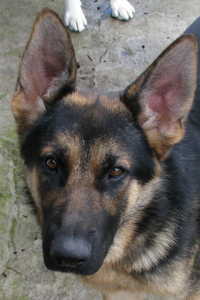 She is very sweet and loves to play with the other large male and female GSDs in her foster home. 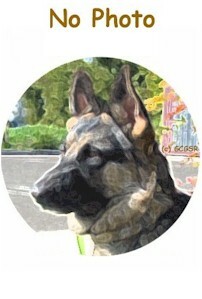 Deya is housebroken, crate trained, and loves to ride in the car. She is learning not to jump on her humans when she is excited. She knows basic commands and walks well on a leash. Deya loves to give kisses and checks in with her humans frequently for a couple of pets, and then she off to run and play with the other dogs. 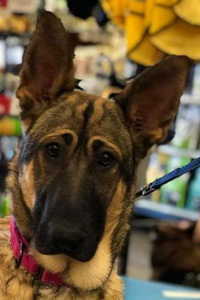 Elly May aka Elly is a beautiful 8 month old sable female weighing almost 70 lbs. She came to rescue when the owner was told she couldn't keep her. In Elly's short life she's had two families and has successfully lived with a lab and a small dog. 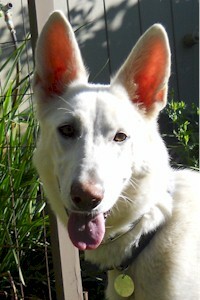 Elly is now in a foster home with a cat and three other dogs, a German Shepherd and two border collies. She doesn't know what to make of the cat, but hasn't tried to hurt it. She is affectionate and rides well in the car. Elly barks at her own reflection and barks at the dogs through windows if she sees them outside. This young girl still acts like a big puppy. 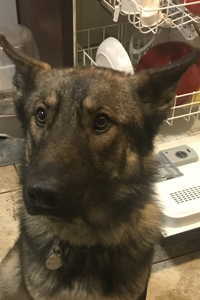 Kiffee is a 9 month old male shepherd with a sable coat. He was owner surrender to the shelter because he played too rough with the small dogs in the home. 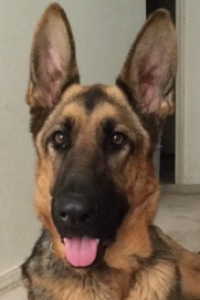 Kiffee is now living with a female shepherd and he absolutely idolizes her and wants to play as much as she will let him. This sweet boy is still just a large puppy and is still learning the ropes. He has some nice house manners but he still likes to chew, so he needs supervision and puppy approved toys. He knows how to come when called, sit, lay down, and he is learning to wait for his food. He is still learning to walk on a leash. Kiffee loves to play fetch in the yard and will pick up most anything left around to keep up the fun. While Kiffee will need further training, he is food motivated and eager to please so a little time and effort should go a long way. Nimitz is the leader of the pack at this point. He also is an excellent alarm barker. He enjoys playing with all the puppies, but Halsey is his favorite partner in crime. He is a cuddler, and very affectionate with his humans. Nimitz has very soft and fluffy fur. His ears are also beginning to stand up. Penelope aka Penny is a petite 60 lb. red and black female approximately 18 months old. She has adorable airplane ears. Penny is housebroken and learned to use a dog door. Being a puppy still, there are some chewing issues which we are working on, but she corrects easily. There are also some things in the house that still startle her. It doesn't appear that she lived in a house prior to her foster placement. Rigsly is a 5 yo Black and Red large male who was surrendered to a local shelter because his prior family could no longer provide care for him. He initially weighed in at 110 lbs, which is far too heavy, but is gradually trimming down to a very healthy physique that allows him to enjoy his daily 3 to 4 mile walks like a champ! Living indoors is very new to this boy. Even though he learned to navigate his way on tile and hard surface flooring with confidence, he may require time to adjust to new slick surfaces. He learned to use stairs in the foster home as well as the dog door without hesitation, and has demonstrated that he is completely housebroken. Within a very short period of time, he has also adapted to sleeping in a crate/enclosure through the night. 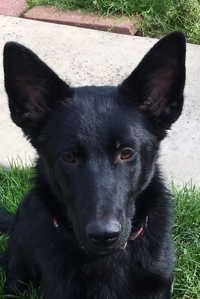 Split is an adorable 18-24 month old black and red male, with one floppy ear. He is on the smaller side, weighing in at about 65-70 lbs. Split was found by animal control running free, and taken to a local area shelter, where no one ever came for him. Unfortunately nothing is known about his background. Split is a little unsure about humans, but will warm up quickly. He now loves to follow his foster dad wherever he goes, and wants attention from the humans he knows. When Split is unsure, he will drop to the ground. He is now learning that he needs to sit or stand for any sort of attention, and will be ignored when he drops to the ground like that. When he gets excited he can also get a little mouthy, but will stop with a gentle correction. 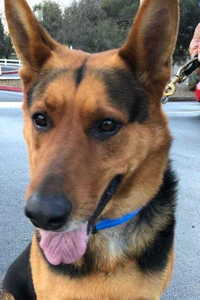 Waldo is a 2-year-old giant black and tan affectionate German Shepherd, who weighs 87 pounds. He came to us from a local area shelter, so little is known of his background. He is quite skinny now but enjoying the extra food to put on muscle. He likes to play with balls, stuffed animals and other dogs. Waldo is very personable and silly. He knows some basic commands, is learning the go potty command and is house trained. He easily lets you trim his nails, especially when you make it a whole massage experience. He has a good appetite, with medium energy. 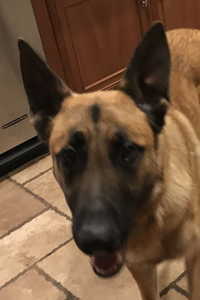 Zonda is a charming 9 year old female Malinois mix that was adopted out from us in 2010, then returned when one of the adult children moved in with the grandkids and Zonda gave the young toddler a warning snap, so no young kids for this girl. This cute redhead is a house princess, has excellent manners, loves having a dog door, and has some nice training under her belt. 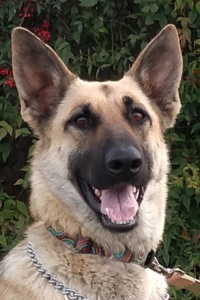 Miss Zonda is an active and energetic girl who loves to go on car rides or for her daily walk. She is happy to go 2-3 miles and gets very excited when the leash comes out. She likes going along beside the bicycle, but isn't as young as she used to be, so care needs to be taken so she doesn't overdo it. 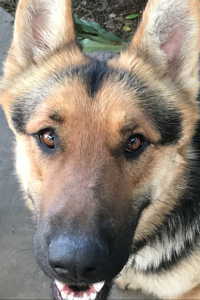 Zürich is a 12-18 month old male shepherd. He is mostly tan with black tips and a black stripe on this tail so he may have a bit of Belgian Malinois mixed in. Zürich seems to be experiencing much of the world for the first time. He seems new to the house, crate, car, walking on leash. He takes most of it in stride, but can be a little reactive when he is unsure of things. He can also be mouthy if he if he is unsure or doesn't like what you are trying to get him to do (like go in a crate.). Zürich seems to be almost housebroken, pacing when he needs to go out. He does better when his human goes out with him to ensure he finishes his business especially when it is raining. He wants to make sure he isn't going to be left outside.